Kanji Laly Mehta is a middle class, atheist Hindu. The story starts out with Kanji losing his shop of Hindu idols and antiques during an earthquake. When Kanji and his neighbor, Mahadev go to file an insurance claim, they learn the damages are not covered. The policy does not cover damages done as a result of, 'acts of God'. Kanji tries to fight this decision with the insurance company but continues to hit dead ends. Finally, out of options, Kanji decides to file a lawsuit against God. The request to dismiss the case is thrown out as the court points out- religious groups claim to represent God on Earth and should be able to speak for him. 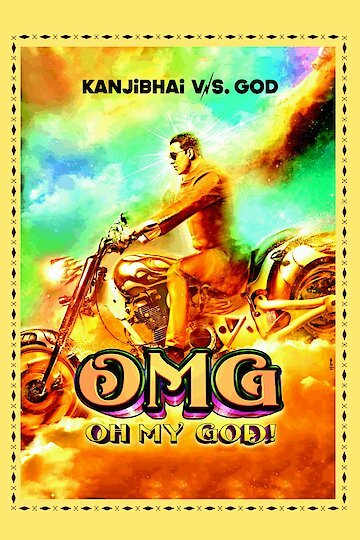 Oh My God is currently available to watch and stream, download, buy on demand at Amazon Prime, Netflix, iTunes, YouTube VOD online.